It is my pleasure to announce Infinite Pathways’ first annual writing competition for 1 Act Plays. This competition is for new and emerging writers 16+ (12+ with the submission of a Guardianship Form). Those playwrights who have a solid track-record and have diligently worked to build an author platform, please refrain from entering the contest. The core purpose for the IP Writing Contests is to promote new writers. However, if you are a seasoned writer who is a novice playwright trying to make a name for yourself, please do submit an entry for consideration. See contest rules and regulations here. Our 1st confirmed judge for this year’s contest is the accomplished Reva Stern. 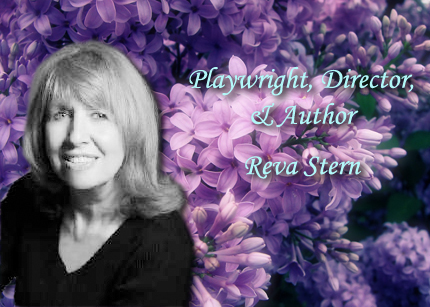 Reva was Artistic Director of a Toronto Theatre for twenty years and has been a Guest Director at the Coconut Grove Playhouse in Miami as well as at major theatres across the USA, including Kansas City, Chicago, New York City and Los Angeles. She retained the position of Regional Casting Director for the American Academy of Dramatic Arts for New York City and Los Angeles for almost twenty years while still at the helm of the Leah Posluns Theatre and Theatre School. Passionate about collaborating on new scripts, Ms. Stern found herself in creative company with such notable writers as Isaac Bashevis Singer, Arthur Marx, Rubin Carson, William Gibson and Elizabeth Forsythe Hailey, while she has also written and produced several of her own original stage plays. Ms. Stern has been bestowed with several awards of merit in theatre and has been a guest speaker at esteemed venues such as The University of Miami, the Actor’s Workshop, the New Play Festival in New York City, and the ‘Playwright’s Conference’ at the University Of Pittsburgh. Her additional publishing credits include extensive freelance writing for and editing of periodicals, magazines and newspapers including the National Post, Globe and Mail, and several years as editor for Wellness Way Publications. She has edited countless short stories, essays and novels for other writers. While she devotes much of her professional time to editing other authors, she is also managing to work diligently on her fourth novel .